As concepts continue to capitalize on the off-premise boom to win over customers, many are taking a tip straight from Yogi Bear to drive seasonal business. They’re assembling a wide variety of picnic baskets with inventive add-ons for diners to carry to surrounding beaches, parks, festivals and more. Here’s how some are pushing the picnic limits. While this offering at the Grand Hotel Minneapolis isn’t off-premise in the traditional sense, it has been popular with guests, says chef Kris Koch, of the property’s Six15 Room. Koch leads visitors on an 11-mile morning bike ride around the city before stopping for a picnic lunch, which typically includes fruit skewers, antipasto skewers, artichoke crostini, cherry clafouti, yogurt parfaits, bagels with cream cheese and lox, and grilled chicken salad. 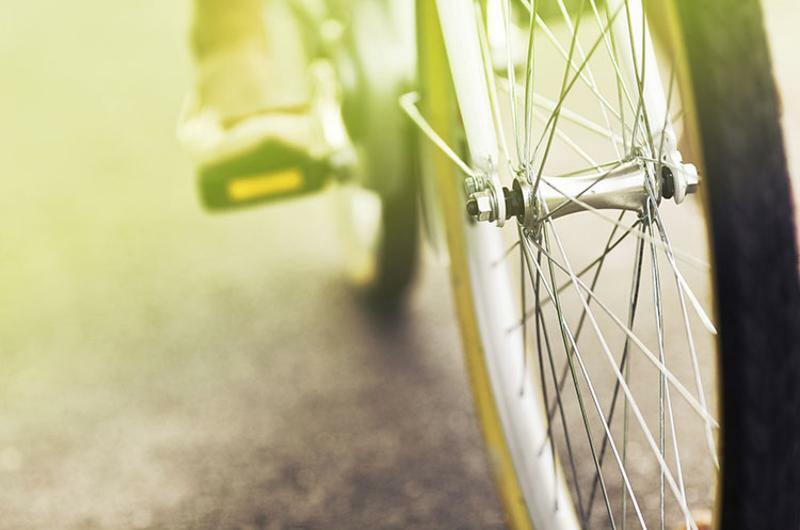 This is the second year the hotel has promoted the bike ride-picnic, which can be added to reservations for $25; the fee includes bike rentals and optional mimosas ($10 extra) for well-behaved guests who can “make it up the big hill by the river,” Koch says. 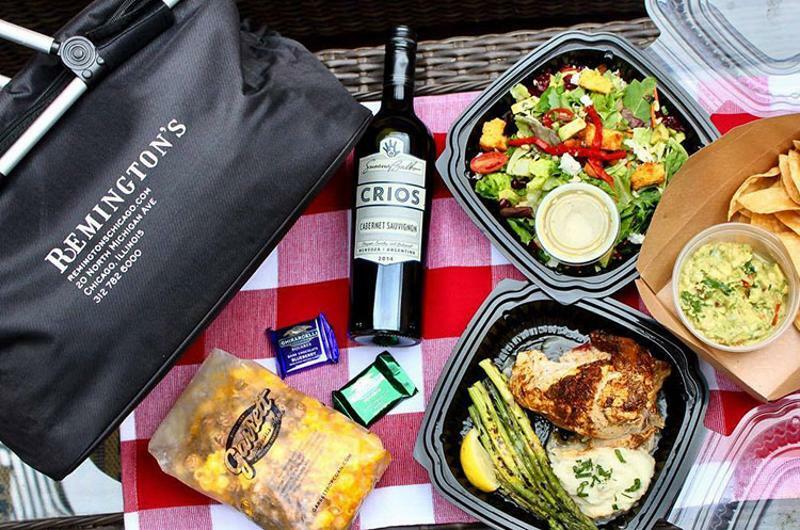 Remington’s, located across from Chicago tourist magnet Millennium Park, began offering a picnic basket program earlier this summer to cater to out-of-towners. Customers can choose from a variety of sandwich and side items, as well as from an a la carte menu that includes rotisserie chicken, pork chops, wine and beer. Each picnic is packed in an insulated, reusable basket stocked with napkins, plates, silverware, serving utensils and wet wipes. Repeat customers get a discount for bringing the basket back to be refilled. 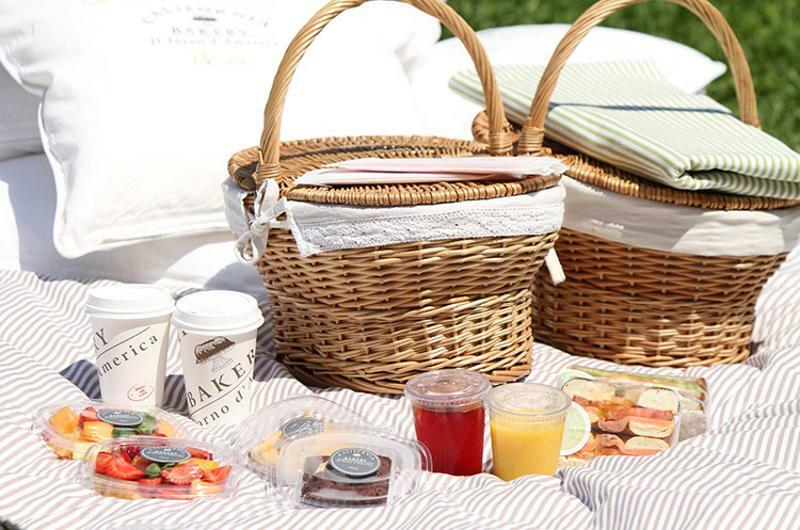 Altesi Restaurant Group, which runs a couple of Italian restaurants in New York City, just launched A2Go—a lunch-only, largely grab-and-go concept that caters to those looking to picnic in Central Park or at other destinations. The picnic-ready menu is comprised of cooked-to-order paninis with proteins like salmon, breaded chicken, prosciutto and a ground veal, chicken and beef patty. 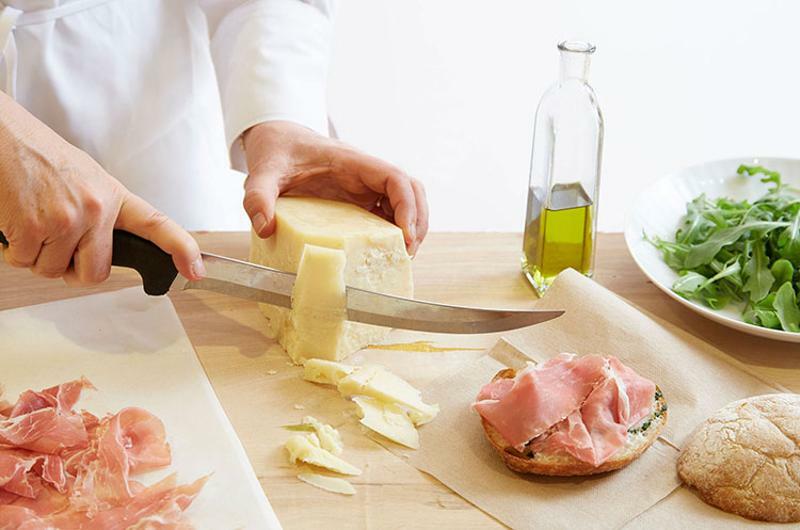 The sandwiches ($20) come with a pastry and a beverage, while guests can also opt for a meal of cheese, prosciutto and prosecco for $28. The items are packaged in a paper bag. 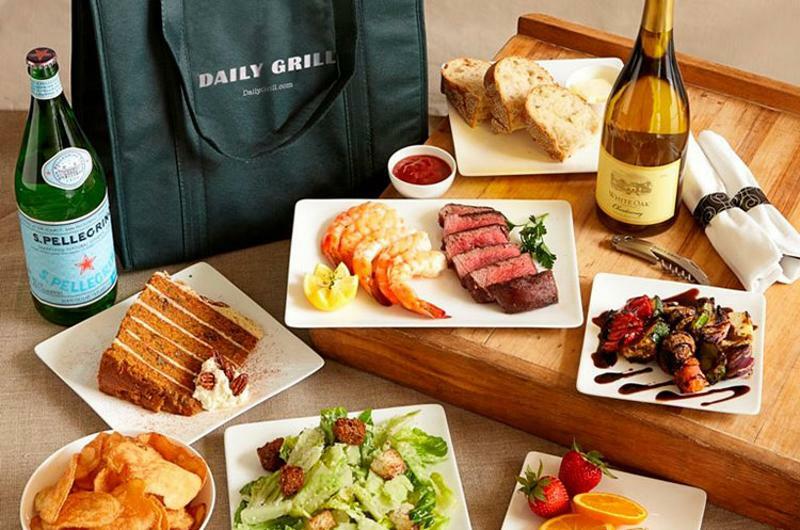 California-based casual-dining chain Daily Grill offers an insulated tote bag with sourdough bread, housemade potato chips, a tablecloth, napkins and cutlery. The picnic menu includes options like a turkey club sandwich; salmon with cucumber-dill salad, grilled vegetables and strawberries with whipped cream; or filet mignon with shrimp cocktail, kale Caesar salad, grilled vegetables and Key lime pie. For an upcharge, diners can add anything from the regular takeout menu to the bag.